Last year, we held our inaugural #Makevember event and had a blast. Check out the hashtag to see what went down. The premise for Makevember was to highlight our local makers. This year, we’re taking a different approach. On November 1 we kicked off #Makevember online. 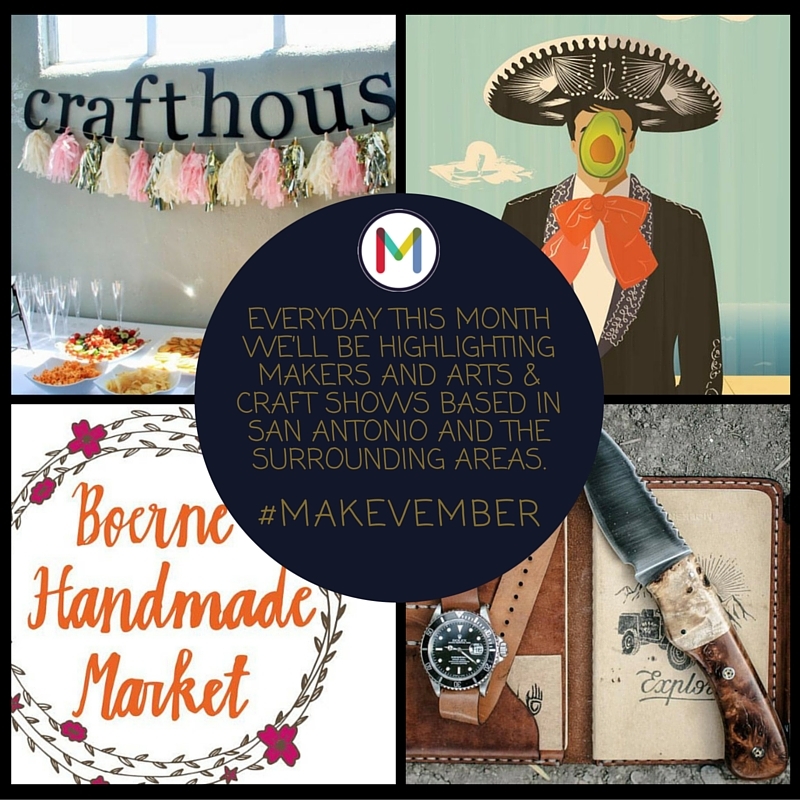 Everyday this month on our social media outlets (Facebook, Twitter, and Instagram) we’ll be highlighting makers and arts & crafts shows based in San Antonio, or the surrounding areas. We highlighted OG Prints for #Makevember. Omar Gonzalez, the mastermind behind OG Prints, is a Kingsville-based printmaker who uses various printmaking techniques and shares the process with others. Check ’em out, and support OG Prints Kickstarter campaign. Omar’s goal is to seek equipment to establish a print shop in order to grow a local art community. We highlighted The People’s Nite Market, the first nighttime farmers market in San Antonio bringing access to healthy food, produce, and culture. November marks the final month of the Nite Market’s pilot season. Their next event is on November 17th from 6-10pm. We highlighted our friends at Crafthouse SA. Crafthouse SA creates the ultimate crafting adventure for you. Visit crafthousesa.com to reserve your spot for their upcoming event, Shake it Up: A DIY Snow Globe Event! We highlighted one of our favorite local clothing lines, BarbacoaApparel. BarbacoApparel is a San Antonio–based, independent clothing line that offers unique designs for Texans (or Texans at heart). Each idea, which highlights SA folklore and different aspects of Hispanic culture, is developed and designed by the team. As we entered the first weekend of November we began the start of arts & crafts show season. 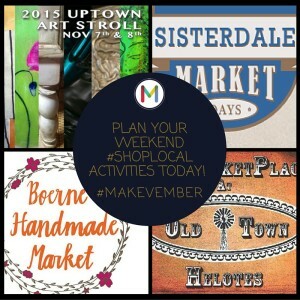 The featured #Makevember makers/crafters was a highlight of a few weekend craft events around Central Texas. In San Antonio, Uptown Art Stroll took place on November 7 and November 8. Boerne didn’t disappoint with their Boerne Handmade Market. 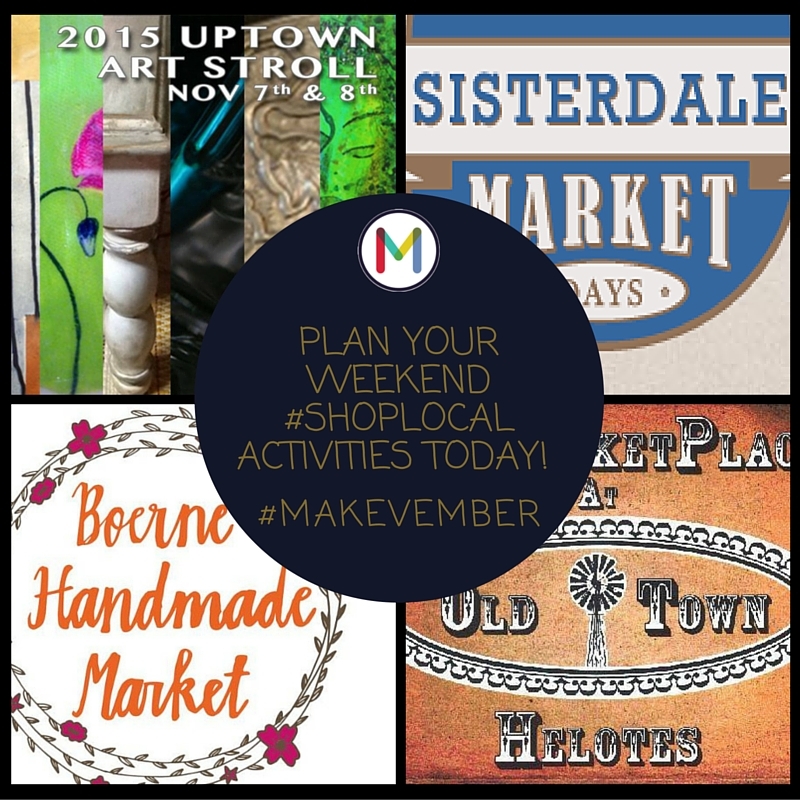 Another favorite is Helotes Market Place, which takes place monthly as well as Sisterdale’s Market Days, another monthly must-see. We highlighted Big Bang Bazaar at Wonderland of the Americas. This small show offered everyone a chance to find your favorite toys, collectibles, jewelry, art & craft, and more. Check out what other craft-inspired bazaars go down at Wonderland of the Americas. We featured our friends at Caliente Hot Glass. They had their monthly 2nd SundayFunday at Caliente Hot Glass with free live glass blowing demos from 11AM-3PM. Caliente Hot Glass Studio is a place where glassblowers can practice and hone their art with full artistic freedom to collaborate, explore, and grow.